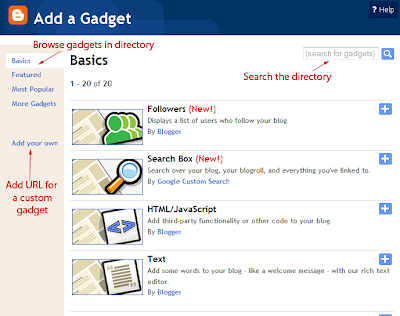 Since Blogger updated the API for gadgets, I've been hard at work creating new and useful gadgets for Blogger users. My first two successful gadgets made use of the google.blog function in order to retrieve and parse post and comment feeds for the blog in which they are installed. These gadgets are now available for installation through the Blogger gadget directory and have even been featured on Blogger's official Featured Gadgets blog! 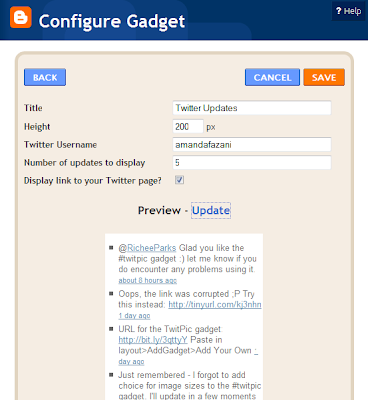 When you press "Update" you will be presented with an example of how the gadget will appear in your blog, and can then proceed to save your gadget. 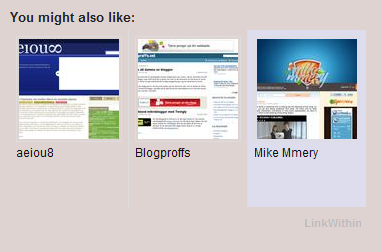 Aneesh from Blogger Plugins has created a wonderful "Recent posts with thumbnails" widget which displays the media:thumbnail for each post. This is a wonderful and very user-friendly gadget which even includes details of comments! Install the Recent Posts with Thumbnails gadget by following this link. This is an issue with all gadgets which should be resolved quite soon. Several people have emailed me about this, and to be honest I don't know why this is happening. I'm pretty certain the Blogger team are aware of this issue and hope for a fix soon. 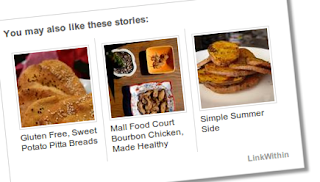 The width of gadgets is determined by the width of the sidebar, and sometimes ignores any padding/margins applied to the "widget content" section. I've tried many ways to fix this, but so far my only solution would be to apply margins within the gadget, making it narrower (and unsightly) for those who use regular templates. Please let me know if you have any other problems with my gadgets by leaving your comments below. 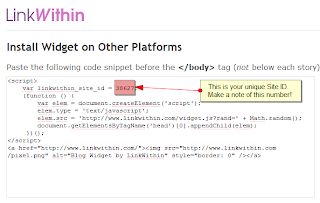 Tony from Engadgeteer has sent news of a great new widget developed for Blogger users: a recent posts widget which includes thumbnails from your posts. 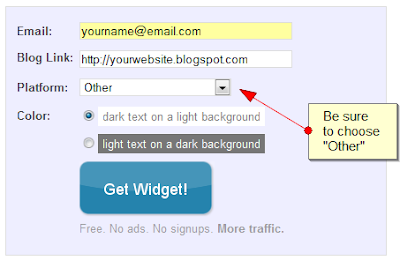 The gadget is very easy to install in your blog: simply visit the widget generator page and edit the settings as required. You can preview your feed and then add it to your blog sidebar using the "Add to Blogger" button on the top right of the page. Thanks Tony for letting me know about this widget!